Database is a very large, integrated collection of data. 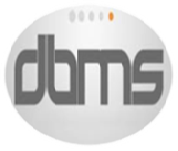 A Database Management System (DBMS) is a software system designed to store and manage databases. Datasets are increasing in diversity and volume and is used in applications like 'customer relationship management', 'supply chain management', 'data warehouses', etc.